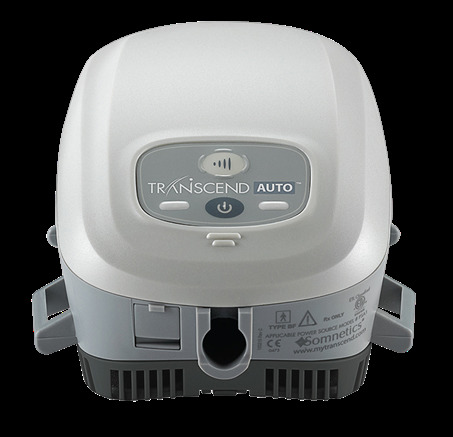 The Transcend CPAP Machine is the smallest Auto CPAP on the market today. Transcend devices come standard with automatic altitude adjustment (up to 8,000 ft) and international voltage conversion, so you can travel to your next destination hassle free. Transcend has power accessories to meet any need. The Transcend Auto includes an international AC power supply with four plug adaptors, suitable for use in the US, UK, Europe, Australia and New Zealand. Additional accessory power options include the P4 battery, P8 battery, solar battery charger and DC mobile power adaptor to suit your travel needs. Transcend EZEX is a fully-featured CPAP with EZEX technology that provides pressure relief on exhalation for more breathing comfort. is a fully-featured CPAP device designed for your mobile lifestyle.